The Cardano calculator is one of the few accurate ways to calculate the worth of your digital currency. ADA or Cardano is one of the newest altcoins on the market and is used mainly to help transact smart contracts on the platform. However, the success of the Cardano coin will be down to the number of people choosing to use the site over rivals, such as Ethereum. It is essential to keep up to date with the latest prices using the Cardano calculator – and also to keep an interest in the news that surrounds cryptocurrency in general. By being so fully informed, you can make the most of your investment in Cardano. 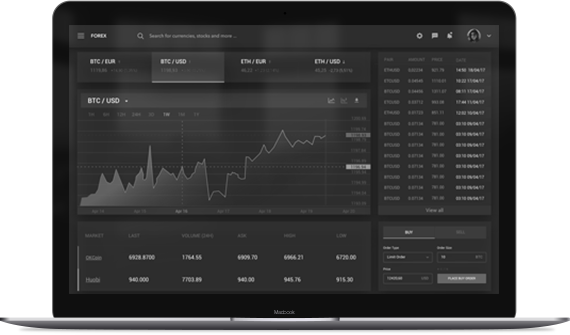 The Cardano calculator draws data from exchange rates and ADA prices, to give you real-time information on your investment or potential investment. The mathematics employed is relatively simple – but the instant access to all the relevant data is potentially time consuming. Therefore, using our Cardano calculator will streamline your research and help inform better buying and selling decisions. It is unlikely that you will be able to buy Cardano directly using fiat currency. It is likely that you will have to buy Bitcoin, Litecoin or Ethereum and convert this to Cardano. The Cardano calculator is accurate with exchange rates and prices – but may not take into account any additional transaction fees that will be accrued whilst making your Cardano investment. Using a Cardano converter is essentially the same as buying and selling ADA tokens. To do this you are likely to either us an exchange site or use an API that connects to these exchange sites. Most platforms will not allow you to purchase ADA for dollars, Euros or other fiat currency – and you are likely going to have to buy Bitcoin, Ethereum or Litecoin – before converting to ADA – and vice versa – depending on whether you are buying or selling. You are likely to purchase Cardano cryptocurrency because you wish to process a smart contract on the platform. The tokens are used as a means of payment for these transactions – and are not really meant for buying and storing as digital assets. However, the price of ADA can go up and down – so there is some value in buying at one price and then hoping to sell at a higher price. It is just that the currency is not designed for such a use as a commodity – but then neither was Bitcoin. When buying and selling in a Cardano converter, you are likely using an exchange site. Even if you use a Cardano Calculator that then allows you to directly convert through an API, then you are going to be connected to one of these exchange platforms in the process. First, you will need a digital wallet, as with all cryptocurrencies. The wallet that is specifically intended for Cardano is called Daedalus. This has been especially developed to hold ADA. Once you have your wallet then you can use a Cardano converter directly or choose the exchange site you wish to use. Cardano is not as main stream as Bitcoin, Ethereum or Litecoin, therefore your choice of exchange may be limited. You will also likely need to buy the major cryptocurrency first and then convert it to Cardano. There are a lot of factors that should guide your choice of exchange. The first and foremost factor should be the level of security offered by the site. There has been a lot of work on the safe transfer and storage of digital currency since an exchange was hacked into non-existence. The general answer has been to develop cold storage. This is where the currency is held off-line, with only a small proportion left online for transactions. The balance of liquidity versus security is worth some exploration. It is unlikely that you are going to need to sell or buy so much that an exchange has inadequate liquidity to deal with it. Any such deal would likely cause a change in the price of the coin anyway. It is also possible to store your cryptocurrency on a piece of paper, which is the ultimate in anti-hacking approaches. There is also an issue of regulation. Cardano actually embraces regulation – which means that the currency is actively attempting to make it regulator-friendly. However, when it comes to using a Cardano converter you want the site to be open to external oversight from a regulator. In the US, for instance, many of the exchanges offer themselves open to regulation by state-level organisations. This ensures good practice. The use of an API Cardano converter links to these exchanges but is likely to shorten the process of buying and selling – making it a lot more convenient. Knowing when to use a Cardano converter is going to be influenced by your use of a Cardano calculator. The calculator will help you to assess the trends of this new currency. Cardano is more than just a digital currency, it is a mechanism for developers to produce apps. Therefore, the use of the platform will influence the value of the coin. It is important then to use the Cardano calculator to assess the current trends of price to know if it is worth investing. It is worth remembering that by purchasing the digital currency, you are not investing in the platform or a company. These are not stocks and bonds, though it might feel like that. There will be no pay out unless you sell the currency at a profit – or get pay back from the transactions with developers and apps on the Cardano platform. You will likely need to buy Cardano for less than you sell it – which is why it is so important to keep your eye on the Cardano calculator.